It is clear that Manchester United wish to retain their spot at the helm of English football. Their season looks like a phenomenal one in the works already, with the side sitting atop the Premier League table, having netted 10 goals and conceded none in their three appearances so far. Along with Huddersfield Town, they are the only team to have a perfect defensive record so far this season in England. Much of this success at the back can be attributed to the remarkable form of Phil Jones. At the start of this season, the injury prone Englishman was believed to be on the verge of leaving, and yet, he has now risen above the likes of Chris Smalling and new signing Victor Lindelof to start alongside Eric Bailly in the center-back position. 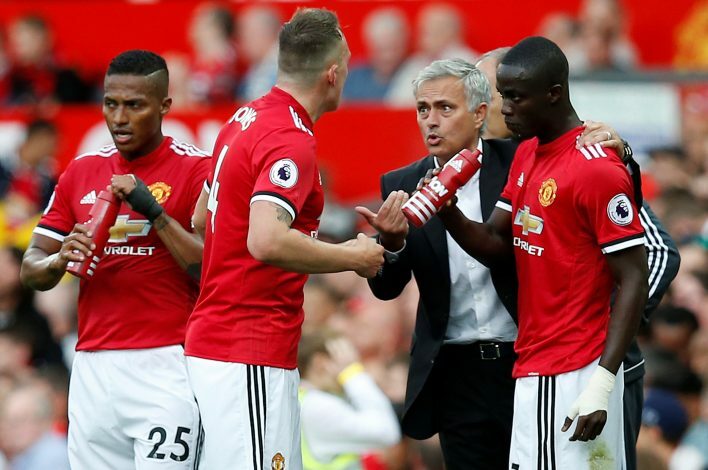 Reports in Manchester Evening News indicate that Jose Mourinho had never intended to let go of Jones in the first place, and had placed the 25-year-old in an exclusive ‘untransferable’ group, alongside Marcus Rashford and David De Gea. Furthermore, the same source states that Mourinho is a big admirer of the defender’s playing style, and claims that he may be able to match the likes of John Terry in the near future. Moreover, the player himself spoke about his rise from injury shambles earlier this week, attributing his success to talented teammates like Paul Pogba and Romelu Lukaku. Having also enjoyed appearances with his country alongside Gary Cahill in defense, it is clear that the young defender is hungry for success, and eager to amend the losses that his earlier injury-riddled seasons gave him.